Summer is flying by but the sun shows no signs of letting up! Australian Gold Botanical sunscreens arrived to my office this month and I&apos;ve been loving the mineral-based, antioxidant rich formulas for both me and the kids. They feel amazing, smell wonderful, feature eco-friendly formulas, and are great for the whole family. Best of all, they provide great coverage and get the job done. What I like best about the formulas is that they&apos;re non-greasy and have a matte finish, which make them great for the face and under makeup. You can also find Australian Gold at CVS, Walmart, and Target. I often have a hard time finding good sunscreens in mass retailers. The kids love that it goes on "warm" and they are obsessed with the delicious scent. 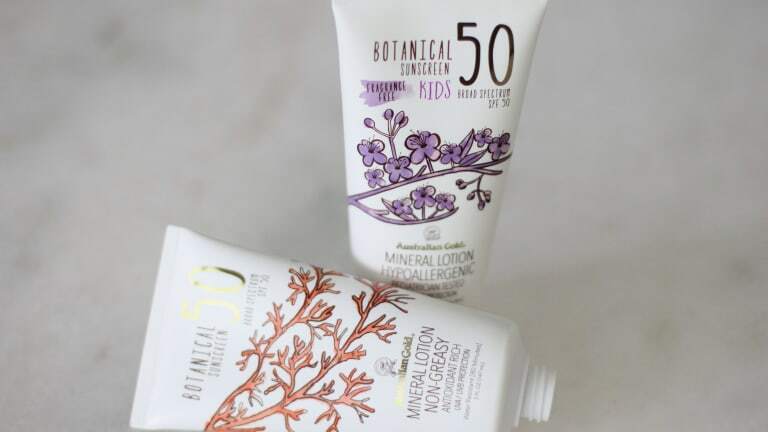 Australian Gold Botanical Sunscreen SPF 30 and SPF 50 Mineral Lotions: Antioxidant rich formula uses Titanium Dioxide and Zinc Oxide to provide a non-chemical UVA/UVB broad spectrum protection, with a powder-like matte-finish that’s never greasy. o Packaging is designed to use as few materials as possible in a recyclable container to reduce any potential waste. 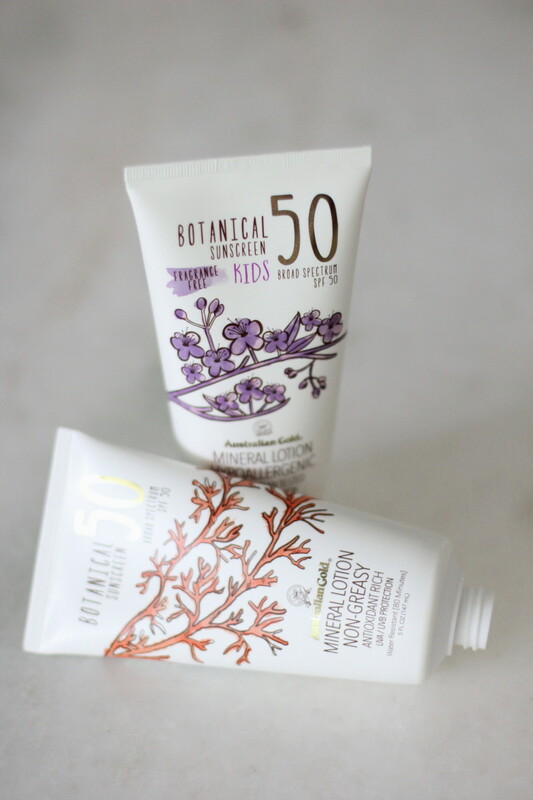 Australian Gold® Botanical Sunscreen SPF 50 KidsMineral Lotion: An ultra-sensitive, quick absorbing, non-greasy, antioxidant rich formula that provides UVA/UVB broad spectrum protection made especially for kids. The InvisiTech™ Formula utilizes 100% mineral active ingredients Titanium Dioxide and Zinc Oxide to provide a non-chemical sun protection option, designed to spread on smoothly with a powder-like matte finish that’s never greasy or whitening.